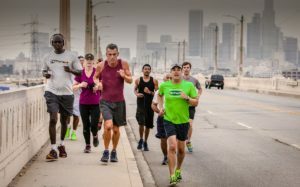 Superior Judge Craig Mitchell (center in red tank top) leads a running group for homeless in Los Angeles. Courtesy still from the film. In 1975, Irish immigrant Dennis Mulcahy of the NYPD bomb squad gathered a group of family, friends and neighbors to start a project offering children from Northern Ireland a chance to temporarily escape the violent turmoil of their daily lives in their own country and thus Project Children was born. From modest beginnings, Project Children ultimately made it possible for over 20,000 Catholic and Protestant children to visit the U.S. for a summer. Here they forged unexpected friendships and discovered they had more in common with the “enemy” than they thought. “Skid Row Marathon”screens on Friday Nov. 2 at 7:30 p.m. It is a critically- acclaimed documentary and has already won 13 different awards from 10 different U.S. film festivals. It is the heart-warming and inspiring story of an unlikely group of individuals from LA’s Skid Row – an area well known for being forgotten by society. 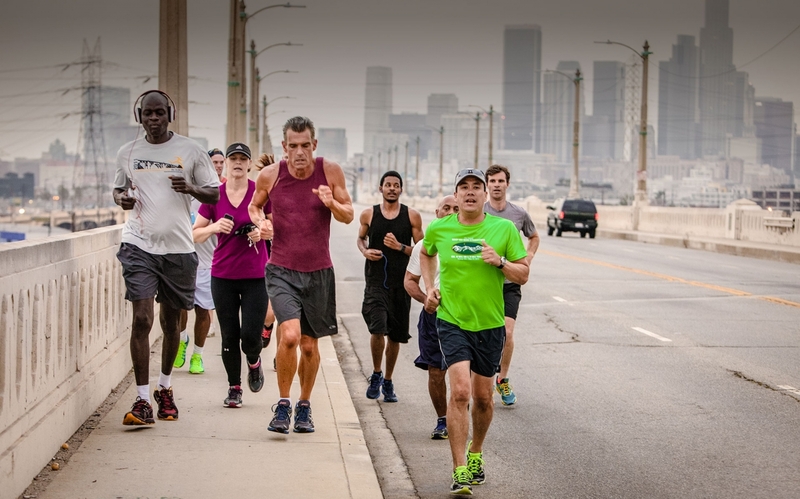 A criminal court judge, Craig Mitchell, starts a running club on LA’s notorious skid row. The club’s members, comprised of homeless drug addicts, a recovering single mom and a paroled murderer, consider themselves among those least likely to succeed. Three times a week, Judge Mitchell heads down to the Midnight Mission, a homeless shelter for recovering drug addicts, and takes the residents running. If they refrain from drug abuse and stay out of prison, Mitchell will take them around the world to run marathons. As they train together to run in international marathons, they learn to dream big as they are re-acquainted with their own dignity. It is a story that celebrates second chances and overcoming obstacles. For more information about this weekend’s Sandpoint Film Festival, log onto www.sandpointfilmfestival.com.